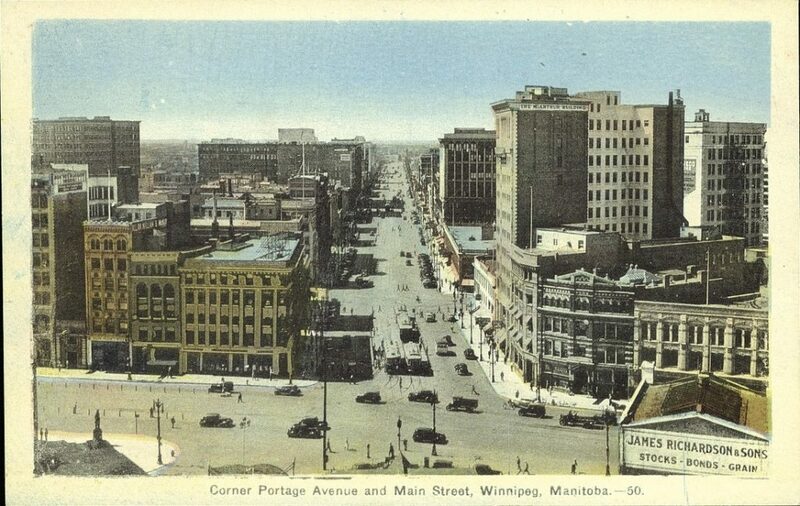 By the early 20th century, Winnipeg was the third largest city in Canada. That year, the inner city’s population skyrocketed to 42,000, and 108,000 settlers passed through on their way west. 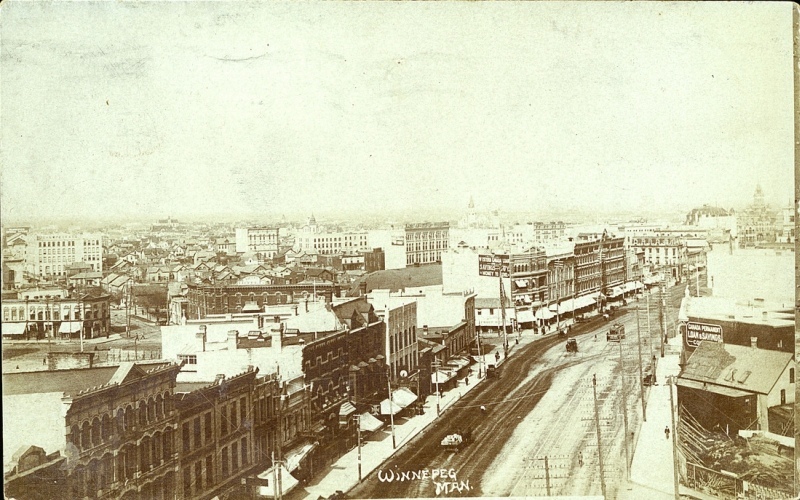 Between the years 1905 and 1915, Winnipeg’s population was exploding. 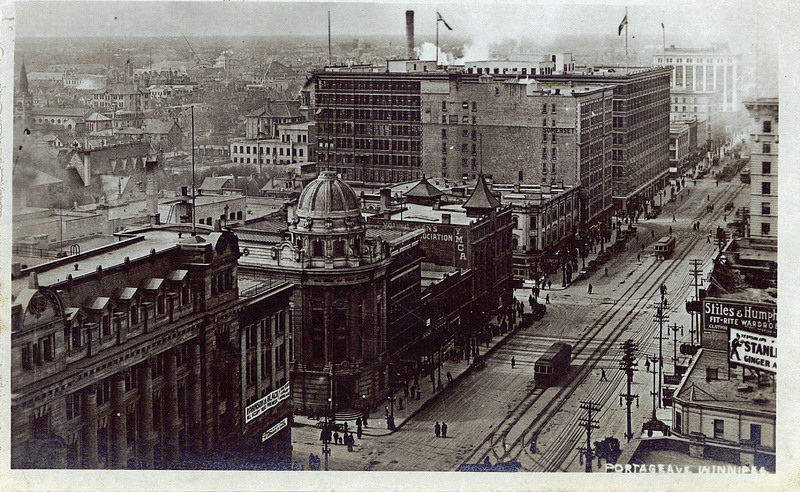 Many banks and financial firms were building grand, stately buildings in the downtown core at this time, including the majestic Bank of Montreal building at 335 Main Street in 1913. 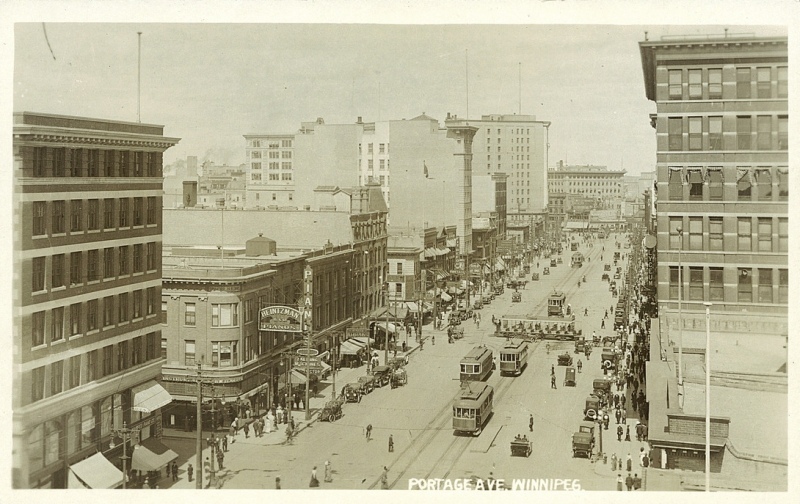 The 1920s were a busy decade for Winnipeg: the Winnipeg Electric Company began operating streetcar service to the City of Transcona, a new Manitoba Legislature building opened its doors and the Winnipeg James Armstrong Richardson International Airport was constructed. In 1931, Winnipeg’s population had grown to 218,785. During this decade, the North Winnipeg Sewage Plant was built and King George VI paid a visit to the city. The city’s demographics were still shifting well into the 1940s, and by 1941, 51 per cent of the 299,937 citizens were women and 49 per cent were men, whereas that percentage was split 50/50 in 1931. Also, 47.4 per cent of residents were single, 47.4 per cent were married, and 5.2 per cent were widowed. 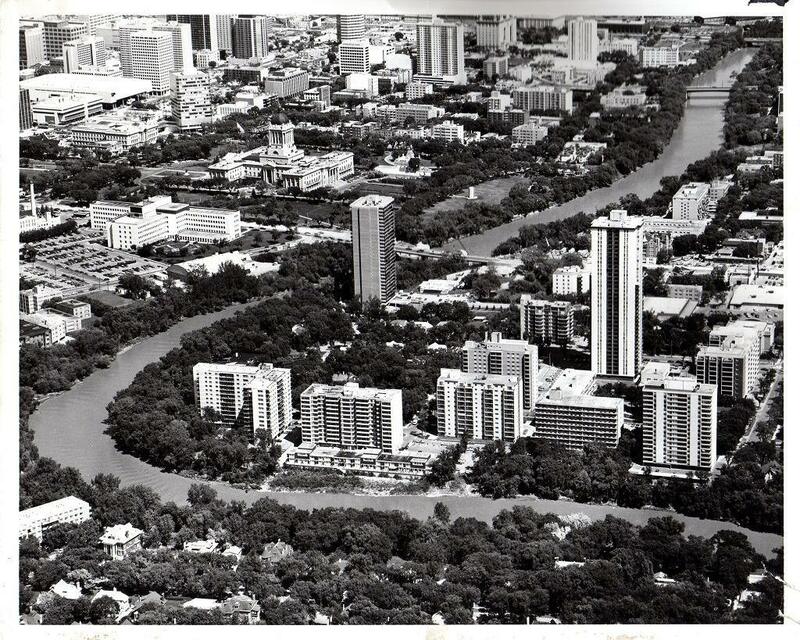 In 1967, Winnipeg hosted the fifth annual Pan American Games. Other notable events of this decade included the passing of the Metropolitan Winnipeg Act, which merged one town, seven cities and five suburban areas together. 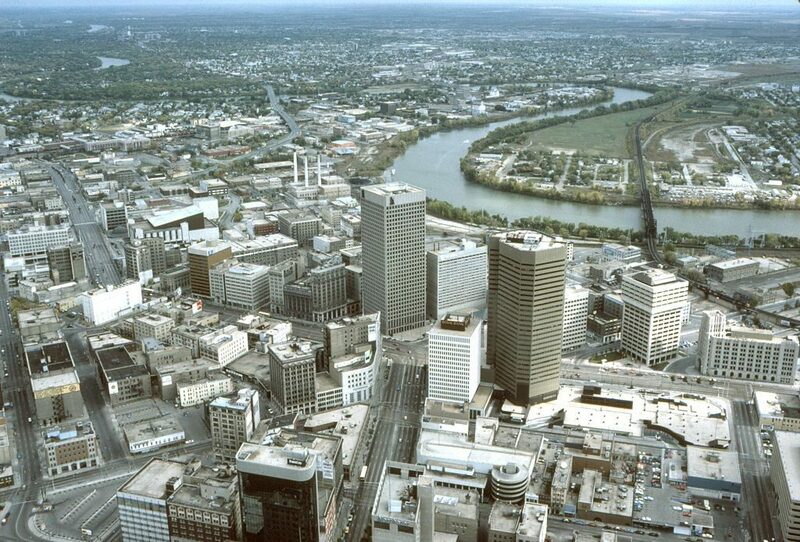 In 1972, Winnipeg was amalgamated creating a “Unicity”, which implemented a new city council governing over half a million people. 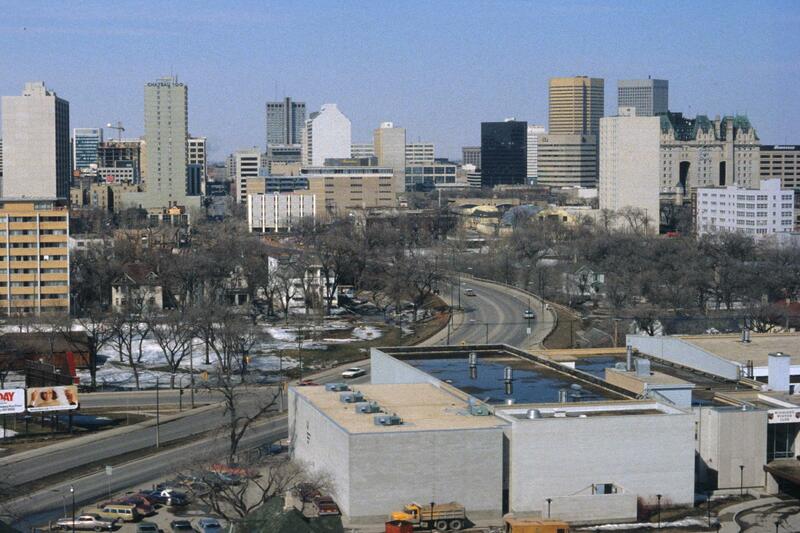 This change meant that Winnipeg was the first big city in North America to unify its administration. The 1970s were a big decade for the Winnipeg Jets. In 1972, the team joined the World Hockey Association and the NHL in 1979. Fifteen years after the original Jets franchise relocated to Arizona in 1996, Atlanta’s team moved to Winnipeg and took on the Jets name. It’s still going strong today, making the playoffs last season and having a strong farm system of young prospects. 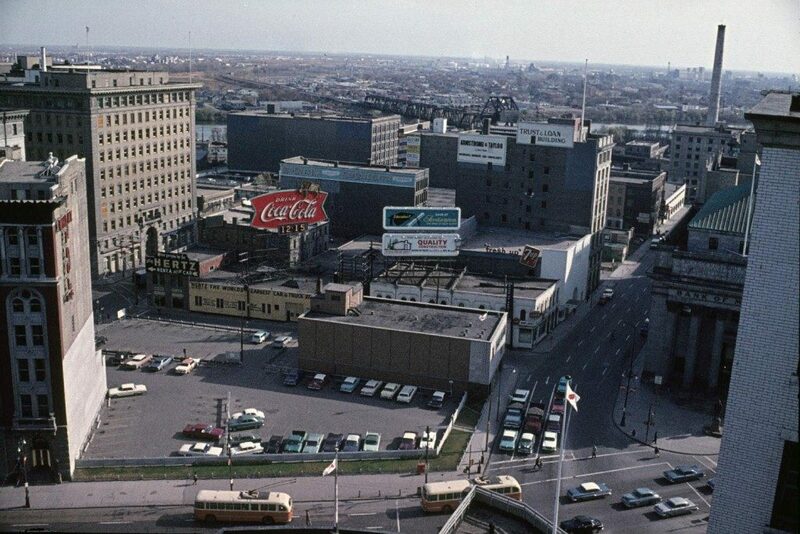 Winnipeg saw more major changes in the 1980s including the revitalization of Portage Avenue with new office and apartment buildings and a new mall. 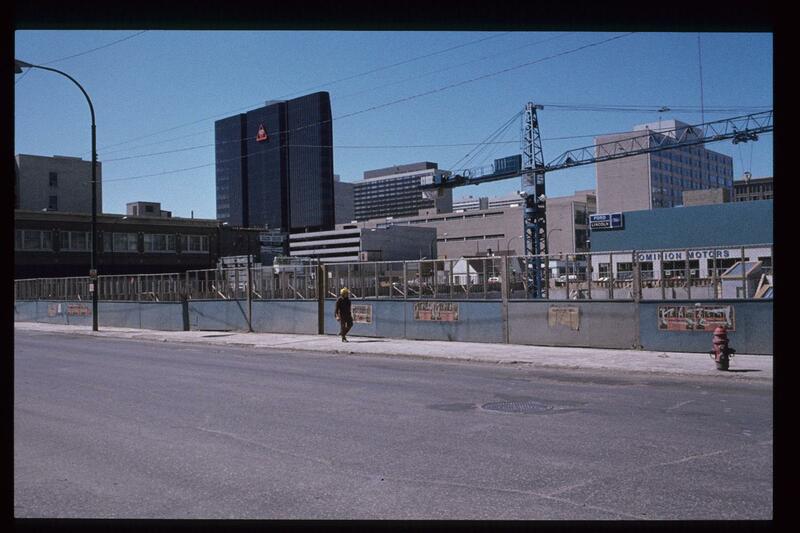 Chinatown, the Italian quarter and the Forks area were also redeveloped during the decade. 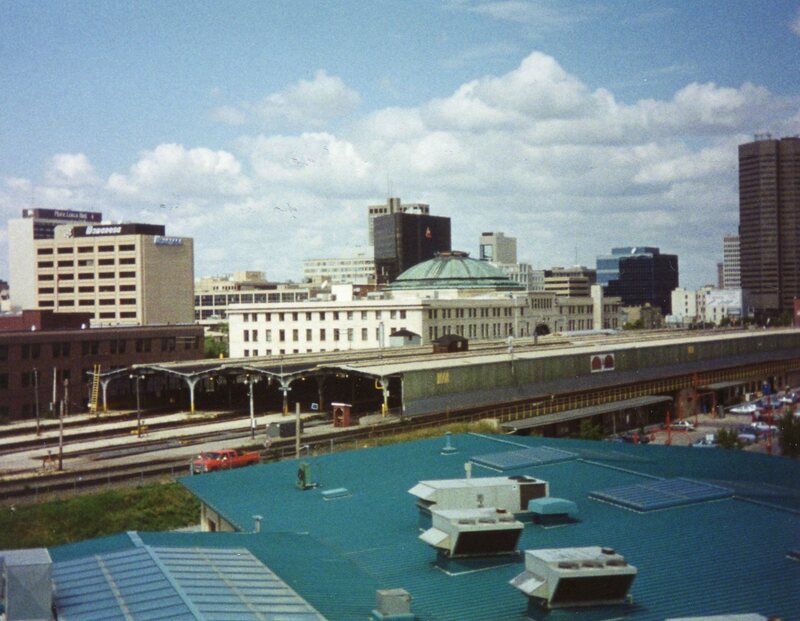 The Winnipeg Train Station, which can be spotted in this photo, was built in 1911 in the beaux-arts classical style. Designed by architectural firm Warren and Wetmore, the structure was designated a National Historic Site of Canada in 1976. 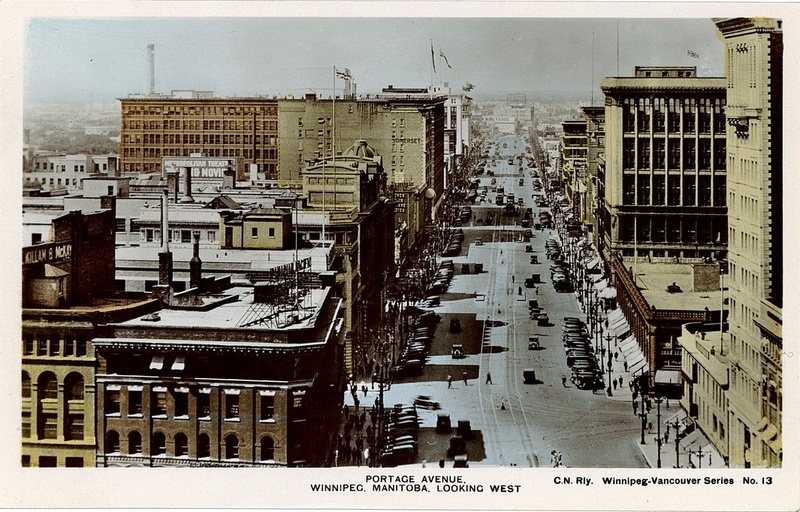 In 2007, a film called My Winnipeg was released. Directed by Guy Maddin, the film was a mockumentary merging the history of his life in Winnipeg with a surrealist, fictional plot. The film has a 94 per cent rating on Rotten Tomatoes and 7.7 out of 10 on IMDB. 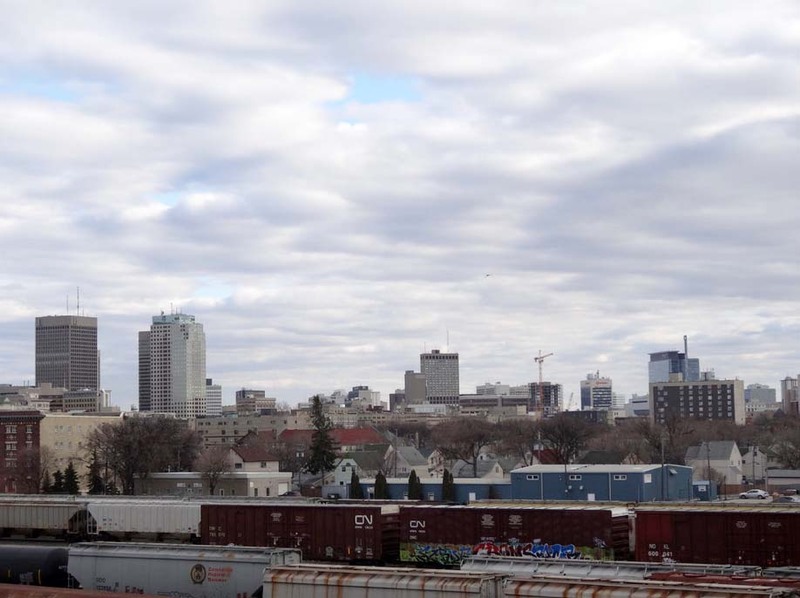 As 2015 comes to a close, Winnipeggers have plenty to be proud of. This year, the city held the FIFA Women’s World Cup Canada, the 103rd Grey Cup and the TD Winnipeg International Jazz Festival. Here’s to another great year! Note: All dates are approximations and have been taken from Wikimedia Commons, Flickr, the University of Manitoba Library and the University of Alberta Libraries. BuzzBuzzHome apologizes for any errors. Please notify us of inaccuracies below in the comments section. *A previous version of this story misidentified the date and location of this photo. BuzzBuzzHome has adjusted the photo’s heading based on reader feedback.